I am a happily married, mother of two, who left the exciting world of organic synthesis to be home with my children. Cooking and knitting are my two favorite things, and I've recently started running. 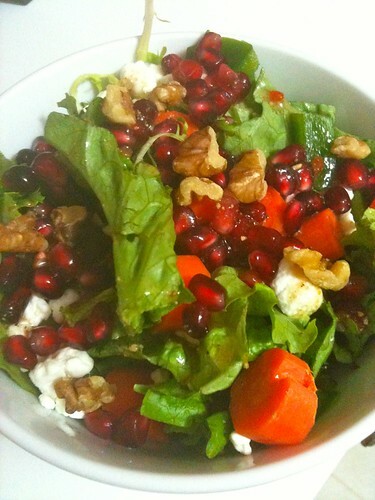 This entry was posted in Cooking, Recipes, Uncategorized and tagged goat cheese, Italian Dressing, pomegranate seeds, salad, walnuts. Bookmark the permalink.